It was a dark and stormy night on the 14th of May in the year 2002. Mommy said to daddy, "We have to go now." Daddy said, "It is 4 in the morning! I'm sleeping." Mommy said, "We have to go now." Daddy said, "Can I take a shower?" Mommy said, "We have to go NOW." 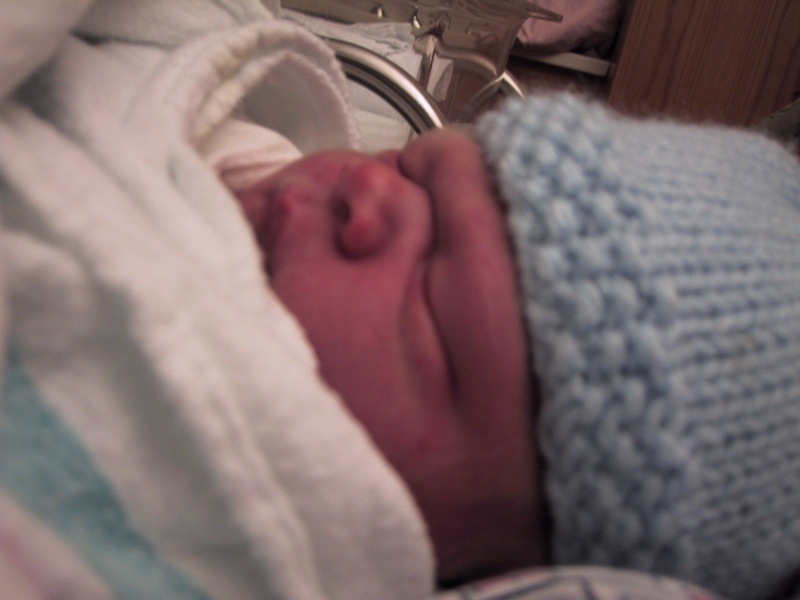 Conrad Alexander Mo was born on May 14th, 2002 at approximately 5AM. 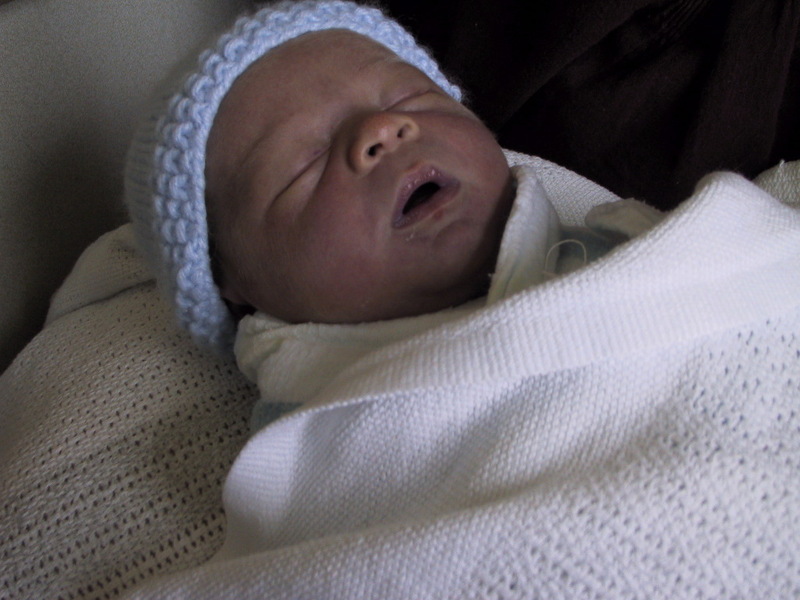 At birth he weighed 8lbs, 6oz., and was 22" long. Don't make me open my eyes! My mommy thinks I'm Beautiful, but I'm really just good looking. You'd Look Funny With No Hair, Too! 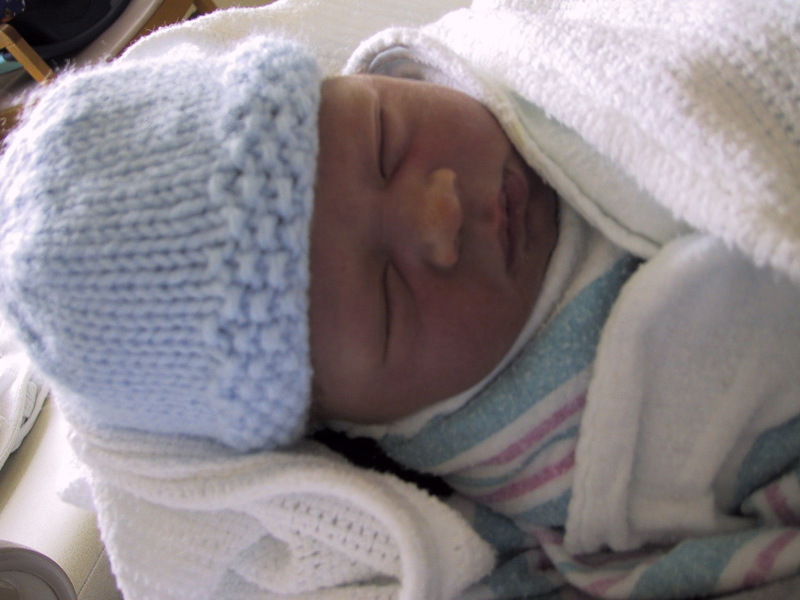 If your mom made you wear a hat like this, you'd be pissed off, too! I have a Porsche car seat. Callie didn't get a Porsche car seat. Nyah! Hey! I have toes. Will you lookit that? Toes! At least four of them! I don't know what she's doing here.